News! Rare Species of Ancient Energy Ball Bigu Fundamental Healing with Promotion Price! 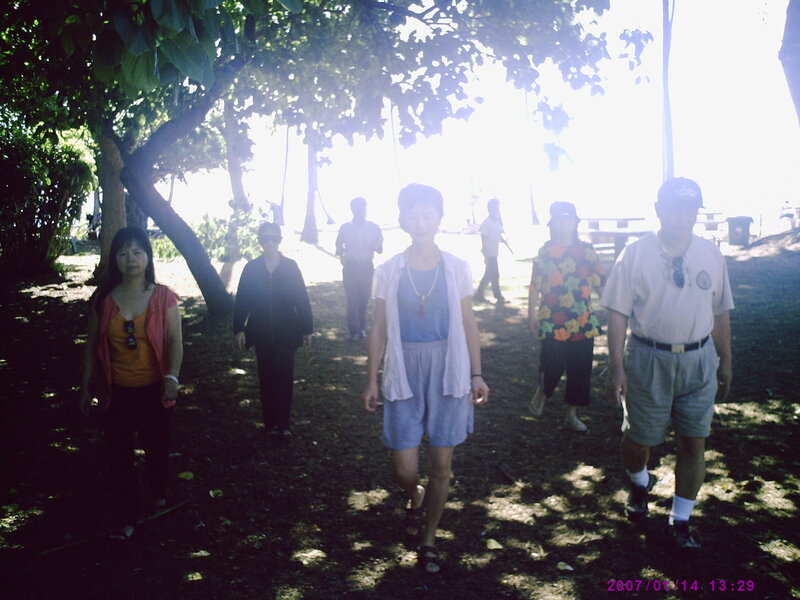 "Energy Ball Bigu Healing Retreat 3.1D" (was called "fundamental healing retreat"): The healing technique has rare and unique effects and the on-site participants were shocked and upheaval, but in order to keep the 3.1D effect in 3D world (D: Dimensions, ordinary people are defined as 3D energy level, starting prolapsed reincarnation as 4D or above. Almost 100% of the retreat participants at the end of the retreat can arrive to 3.1D energy level), it requires the participants to raise the energy ball baby continuous or periodic, not exceedingly to wither, so it called continuous raising energy ball baby. Only with the energy ball people can live longer and achieve solid spiritual growth. 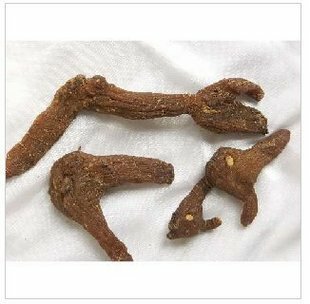 Prolapsed 3D dirt, Participants can maintain the energy level and live really wonderful and spiritual life and keep practicing to higher energy level until enlightenment (Qinway system includes self healing techniques, rejuvenation and beautification & more high-dimensional practice techniques, etc.). Unprecedented creative with rigorous scientific attitude, Qinway prepared and implemented the human detoxification and energy infusion process as the technique procedure. All retreat participants, without any exception, successfully completed their system change for body, mind and spirit, including dispel various root of diseases. * This Energy Ball Retreat blends profound new knowledge and supreme techniques with your personal experiences to facilitate your spiritual awakening. * Stay in a high-energy closed Qi field continuously for 3 Days, which gives you an energy foundation that is often worth 10 years of diligent practice. 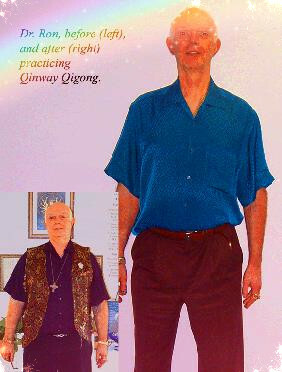 During the second part of Retreat (Bigu homework), Grandmaster offers remote energy supports & directions for 36 days. * Acquire strong personal magnetism in a high energy Qi furnace. * Achieve sudden understanding through instant connection and verification. This wisdom can assist you greatly in healing and spiritual growth. * Release fundamental toxins, including physical, emotional and “spiritual software” toxins to achieve the process of “changing yourself inside out” (bitter-sweet detoxification reactions) and eliminate potential hazards in body/mind/spirit. Time saving: This 3 Days Intensive Retreat is equivalent to ten year full time professional training in Healing, according to many Qinway students with decades of prior training. Its professional high level training can save you time, since beginning, intermediate, and advanced classes are no longer needed. Optimized Life Quality: It optimizes the quality of your life. You would never worry about cancer or other serious diseases. It also refines your “spiritual software” benefiting next lives. * Adjust your biological field and molecule arrangement, receive individual instructions about diet, color, number, fengshui, directions etc. 1. System's Individuality. No two people in this world share the same life signal and Qi field. This Healing program starts from analyzing each individuals's root causes of diseases and designing a systematic individual healing plan. This plan includes individually designed healing numbers, colors, healing food, directions, fengshui and methods tailored to your unique biological channels throughout your entire Bigu period. 2. System's Fundamental Approach. This complete healing system including body, mind, spirit rejuvenation,it's not only offer spiritual highest level enlightenment's heavenly ladder mentors, but also the ground-based engineering to remove the root of diseases, The foundation engineering contains profound theory's and the universal energy for detoxification and energy infusion Bigu & special abilities techniques, thus can help you in a very short period of time to achieve the fundamental healing state. If using others such a ordinary piecemeal approaches or Dharma, or just stay in preaching theory or philosophy or general health theory, that for, it can only make slow progress, it is impossible to achieve short-term fundamental healing, since the only way to double check the truth is by verifying and successful experience! This retreat is like a "big bang" designed to break through bottlenecks in your health. You will stay in a closed high-energy field continuously quickly open your channels and build up a strong Qi field - detoxification and energy infusion with Bigu energy ball and special abilities appearance will happen! As a result, you will be able to get great changes for your body, soul and mind complete system. Most students have a lot of amazing true stories with deeply successful personal experience to got validation and interpretation of the truth of Qinway healing technology and theory, that's the only way to answer what's the truth:successful experience and validation. 3. System's Completeness. Like a piece of fine cloth, it's best to get a professional who can tailor it for you with a thoroughly consistent manner, to use the complete "human and universe" penning channel technology instead of those "blind men feeling what's the elephant" therapy or partial repair program. A complete physical and mental healing technology, certainly closely related with him (her) daily diet, work environment, methods and thinking habits. The physical and mental disorders often reflected these daily mistakes. Learning different systems piece-by-piece can make you feel fresh and comfortable initially, but it may not resolve the problems, and may not result in lasting healing and rejuvenation. Not using methods designed to work together may even cause energy disorder. It may waste your valuable life time without even eradicate the root of your diseases. Qinway Healing is not just a partial refurbishment of patchwork, but rather a complete and rigorous technical system. Qinway system, with the theory of "human Universe channeling", Yin & Yang longevity theory and its profound and broad contents for enlightenment practice, offers you a heightened experience that often cannot be described in words. In order to achieve this level of attainment, it will take you several decades to go to ordinary school and practice if you learn other normal methods. Cost: An individual healing and consultation session each costs $360/hour. (1 hour minimum after 1 hour using 10 minutes as a unit). Both sessions combined will get $200 off (original cost $720), and costs $520. All payments are subject to 8.75% CA tax. It use universal energy to replace regular food. The great result is being too Qi (Energy) filled to eat and don't feel hungry, in the mean time the body organ gets rested, repaired and achieved fundamental healing and rejuvenation. Bigu is special Taoist technique in ancient china , the Bigu method is preconditioned by 'Too Qi Filled to eat' and eat the “signal food” which was infused with high universal energy with great healing results using universal energy to replace regular food. 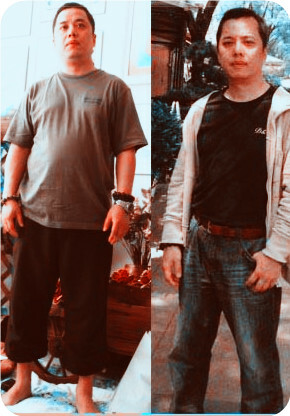 The great result is being too Qi (Energy) filled to eat and don't feel hungry, in the mean time the body organ gets rested, repaired and achieved fundamental healing and rejuvenation; but Bigu not fasting, but with strong energy ball support,in Qinway about 20 years history ninety nine percent of retreat students responded with no feeling of hungry during Bigu, but just said "too full, too much energy when to do Qinway's Bigu. 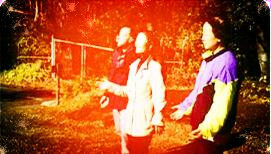 During Bigu, Grandmaster Qin channels Wuji Dimension energy signals into special natural food (e.g. Yin-Yang Tea, Hawthorn Powder etc) to match and adjust each students frequency & problems. Signal healing also includes sound, image, word, color, number, and special lecture. Energized fengshui objects are used for self protection or fengshui arrangement. They can improve your home's Qi field fundamentally, and uplift the purified field you got from Retreat. All my life, since I can remember, I was looking for this, When Grandmaster help us connect higher being energy signal, I got a divine & successful experience to diagnose and recover with Qi: no hospital, medicine or X-ray, no machine! Only Universal high energy, pure, powerful and no side effect, I love it! I live in Manhattan of New York, a long-term licensed Western medicine doctor. I come to this retreat because of my severe asthma problem. Due to my professional job, I know the best-known doctors and drugs, but these methods did not help me. On the last day of the retreat I woke up, my coughing sound interrupting my classmates was greatly changed. After returning home, I followed the individual designed the "homework" Bigu by Grandmaster and my health recovered much better, especially my spirit and energy recovered back to 10 years ago. I finished 108 days Bigu homework and I submitted the application to the Grandmaster for extension, I want to keep doing the Bigu ...I just want to say I'm so appreciate the karma to bring me to Qinway retreat, also I hope you may get the same benefit as well! 1. Adjust your spiritual codes, and dissolve bad karma and blockages from past lives. 2. Heal difficult and chronic conditions, including problems of skin, overweight, hypertension, diabetes, joints & bones, insomnia, stomach & intestines, and female diseases. 3. 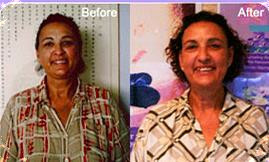 Fundamental rejuvenation & beautification through internal cleansing. Significantly enhance energy level and reduce stress. The tuition for the Energy Ball Healing Retreat is $898, which provides special staying in the high energy field with energized healing signal foods for FREE. It includes 3-day highest energized Bigu supply. The lodging and accommodation is not free, will be shared by students. One of the important knowledge about the retreat program: part I is the retreat on site, part II is after the retreat continue to do the Bigu homework individual designed for you by Grandmaster. Part I and II both are very important, the part I combined with part II are called Qinway unique retreat program, successful guaranteed! For the part II, students have 2 options: Grandmaster's individual designed 36-day energized package including 36 days energized Bigu Supply, and bonus with energized Fengshui object and Energized healing food, special with Grandmaster remote direction & healing signal support, the total cost only $432; the second option the students continue Bigu at home for less than 36 days, the Bigu supply costs $12/per day with remote healing support as well. Bigu Supplies include not only energized supplies, but also Grandmaster’s most important Bigu remote healing signal support with her individual direction for you. You are required to continue Bigu for at least 36 days after the Retreat to build a Qi foundation at home in order to guaranteed your great Fundamental Healing result because Bigu is the only way to remove the root of disease, rejuvenate your body, mind, spiritual and open your wisdom channel! To pay registration fee now to reserve your unique retreat seat, visit registration page. After you finish the registration, Grandmaster will start right away to help you setup with individual energy signal system. So the registration fee is non-refundable. After we receive your registration fee, your retreat space will be reserved. The tuition balance is due on retreat day, you can pay by cash or cashier check. All payments are subject to 8.75% CA tax. Qinway spiritual system strongly encourages you to pay full payment to save your retreat valuable time and help Grandmaster get overall signals to best design your individual entire retreat healing plan. 1) * The retreat has limited size, however, the basic number also has to be enough, otherwise you will be moved to the next retreat automatically. 2) You are encouraged to drink Yin-Yang Healing Tea and practice Qinway Healing DVD kit to move to higher energy level and eat light and more vegetarian meals before the Retreat. 3) Financial preparations: after the retreat, Grandmaster will keep supporting you through Bigu signal carried with remote direction and healing. Bigu supply $12/day,in the retreat, unique energized wild foods & powders & fengshui objects available for you as option. 4) This special retreat has special arrangement as "close qi field", and sleep arrangement also follows united yin/yang Qi field. 5) Retreat provides some of "signal healing food", you also can bring some fruits and raw nuts and Grandmaster will put energized signal and adjust in the retreat. 7) This unique retreat place has special requirement of a strong and "closed Qi field " setup, qinway unique retreat program that special sleeping arrangement for the best healing results. The key point to get successful result is to change your mind and follow the instruction. 8) Please bring an empty mind like an empty cup, to get the best retreat results.